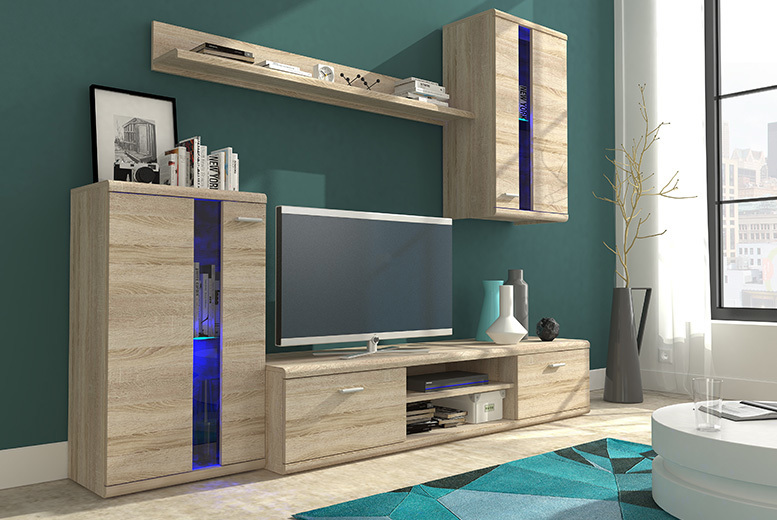 Give your living room a glow up with this great deal! Includes a TV stand, standing cabinet, floating cabinet and shelf. Contemporary design for a modern interior. In two finishes – white matte or Sonoma oak.